Golden Sun! What would life do without the Sun??? 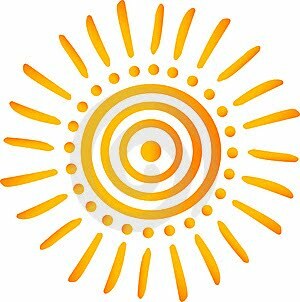 Sun receives many names in all the cultures: Helios, Solis, Sun, 太陽(Taiyang), Surya. Ok, this won't be a lesson of Biology,nor Physics, nor Languages. I just want you to think of the Sun, yes, that point in the sky, that one you can't look at directly or your eyes will burn, yes. It is very important in our life. Without the sun, we wouldn't be able to live. We should appreciate the things we have We are so accustomed to see something that we don't even think of what would happen if that thing wasn't there. Imagine for one second, try to visualize all the things we have, all the things we have since we were born, product of the work of generations. Try to think, what if you threw away all those things that old generations have done for you?